The Pacific White-Sided Dolphin, which are also known as Lagenorhynchus obliquidens, are a very active species that is normally found in the cool or temperate waters of the North Pacific Ocean. 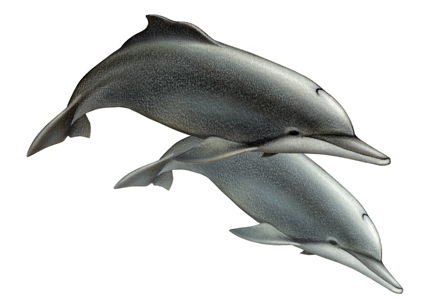 It is actually similar to the Dusky Dolphin which is common in the southern Pacific Ocean. These types of dolphins are also often used in marine theme park shows as they are avid bow-riders, acrobatic jumpers, and are energetic. They are also quite active in the wild. In terms of apperance of the Pacific White-sided Dolphin, they usually have three colors where all of the colors are divided equally throughout its body. Its chin, throat, and belly have a creamy white color, while its beak, flippers, back, and dorsal fin is dark gray. It also has light gray patches on both of its sides along with a light gray line starting from above its eye until it reaches below the dorsal fin and starts to thicken at its tail stock. 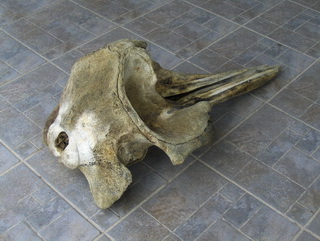 There is also a dark gray ring surrounding its eyes. 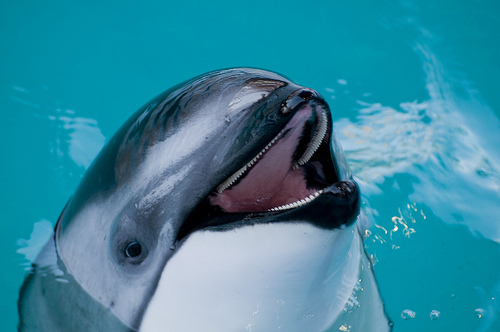 The dolphin also has a short, rounded, thick beak that consist of 23 to 32 small, rounded and a little curved teeth for each side if its upper and lower jaws. Newborn Pacific White-sided dolphin has a length of between 80 to 95 centimeters long and its gestation period is estimated at approximately 9 to 12 months. As for adult Pacific White-sided dolphins, the female can grow to at least 2.3 meters (7.5 feet) long with its weigh up to 150 kilograms (330 lb), while the males are able to grow to 2.5 meters (8.2 feet) with its weigh up to 200 kilograms (440 lb). Although the dolphin is an average-sized dolphin, it is a little larger than Dusky Dolphins and can live up to more than 40 years. The White-sided dolphin can be found in cool and temperate seas for instance in the waters of the north Pacific, western side of the South China Sea, the eastern side of the Baja California peninsula, Sea of Japan, the Sea of Okhotsk and the Bering Sea. Besides that, it also inhibits within the area from Amchitka Island in the Aleutians, Gulf of Alaska, Kuril Islands, and along the coast of North America. 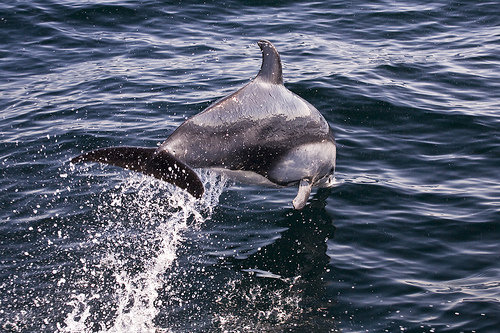 In the North Pacific alone the population of the Pacific White-sided dolphin is estimated at approximately 900,000. The diet of the Pacific White-sided dolphin consists of mainly hake, anchovies, squid, herring, capelin, salmon, sardines, rockfish, pollock and cod, plus they also feed themselves usually during the night. The dolphins also can be found in large groups of up to 100 at one time which consist of both male and female species with various ages. Apart from that, the Pacific White-Sided Dolphins are also not shy from being threatened especially from its natural predators namely the killer whales, tiger sharks and dusky sharks. Other threats for the mammals include entanglement in fishing nets like the trawling, drift and gill nets; the destruction of their habitats, pollutions, disease (Morbillivirus), illegal killing especially in countries that kills the dolphins for food, plus the decreasing of their main food availability.